Silver Y caterpillar – also known as a looper caterpillar. The head is on the right in this photograph. The youngest member of the Chaos team spotted a new type of caterpillar on a Sunflower plant. To find out what it was, he kept the caterpillar in one of our terraria, and supplied it with fresh Sunflower leaves. 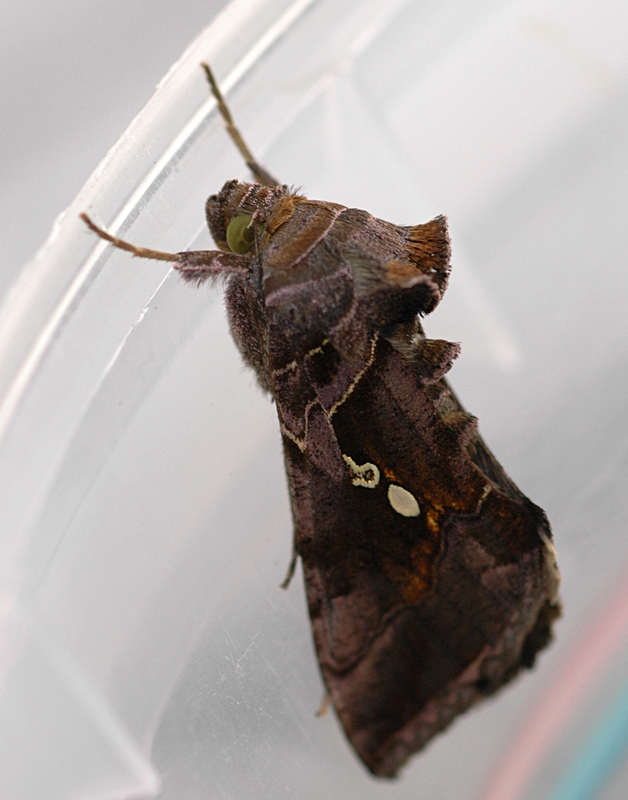 This was the ornate moth that emerged several weeks later. Silver Y moth (Chrysodeixis erisoma) is our best guess at identifying this species – identifying a moth can be challenging. There are a number of books available on New Zealand species, although none cover all of the species. Identification is further complicated by many of the images in books, and online, being of dead individuals that have their wings outspread. These can look very different, as in this. Landcare Research provide an extensive image gallery online here. 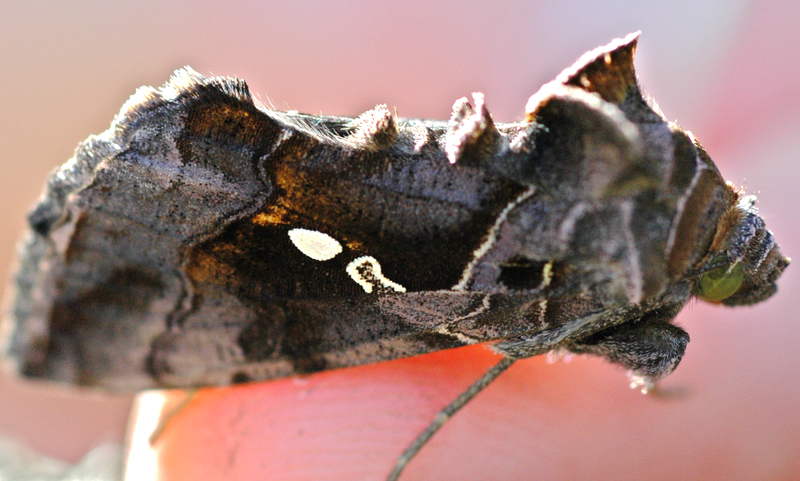 The silver Y moth, prior to its’ release. 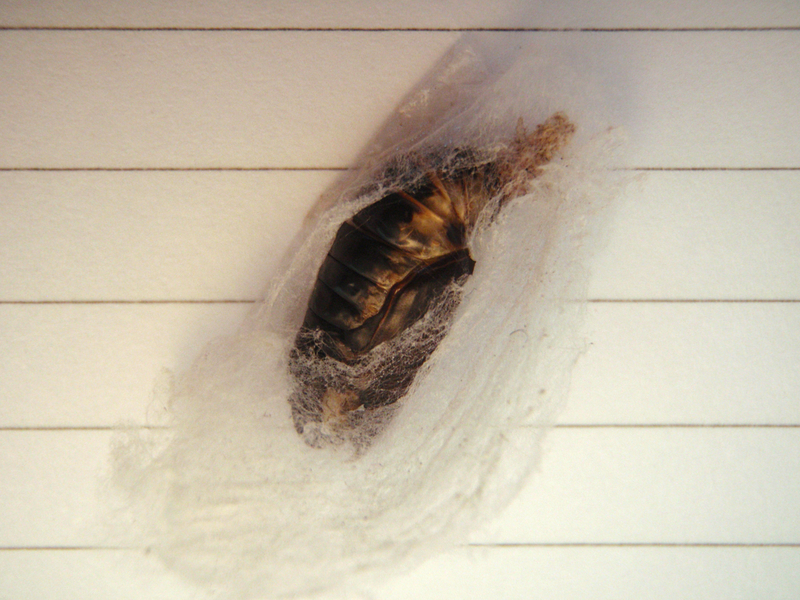 Our next goal is to find a cabbage tree moth or caterpillar – these chaps have stripes on their wings that match dead cabbage tree leaves, and apparently orient themselves on the leaves so that these line up – how cool is that? Beautiful moth. 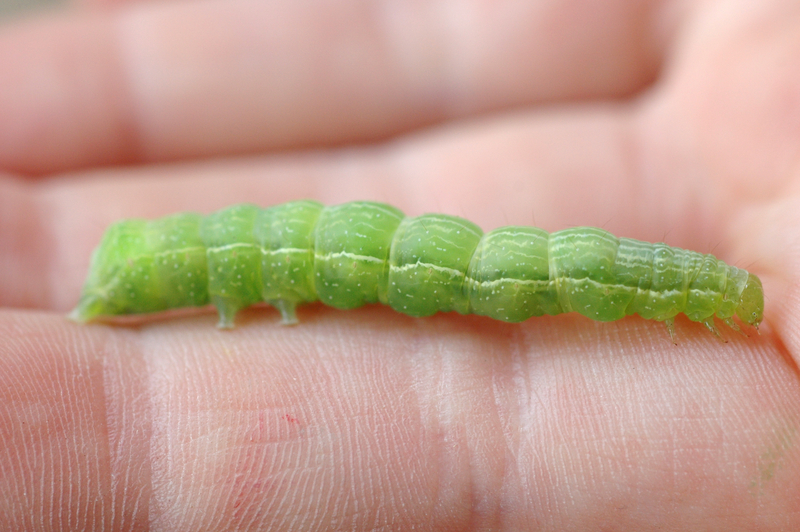 Who would have thought such a humble green caterpillar would become such a beauty. It reminds me of the quote you have on your “about” page by Richard Feynman. Thanks for posting. I don’t know much about chaos theory but i do know that yesterday I shot one of these invasive beauties in my garden/temple. One of the Cambridge in Colour members suggested it might be a Silver Y. I will take this page as confirmation. Thanks. Glad to be of help! Thats a great photo you’ve taken – we enjoyed perusing your site, thanks. « Caterpillars and butterflies. And wasps.